The confirmation hearing for the recently appointed Supreme Court Justice, Brett Kavanaugh called public attention to what goes on inside elite, private boarding schools. Sociologists have long been interested in the role played by elite private prep schools in the intergenerational transmission of advantage. In 1956, C. Wright Mills contended, “if one had to choose one clue to the national unity of the upper social classes in America today, it would be the really exclusive boarding school for girls and the prep school for boys.” By selecting and training the newer members of the upper class, and by upholding the distinctive standards among the children of families who have long been at the top, the prep schools serving America’s “power elite” have long been the ticket to acceptance into elite colleges and corporations. Today’s elite boarding schools provide many students with opportunities to cultivate a sense of ease and familiarity with authorities and gatekeepers. They also cultivate students’ beliefs in their own exceptionality by providing opportunities to specialize in unique activities and to hold leadership positions. Yet, because prep schools also escalate the process of separating the winners from the losers, they trap students in a “triangle of tension”: families pressure students to succeed, while the school (at least publicly) encourages them to adhere to a strict moral code, and their friends adopt a culture of “eat, drink, and be merry.” To escape this stress, youth often partake in the student underlife. Shamus R. Khan. 2010. Privilege: The Making of an Adolescent Elite at St. Paul’s School. Princeton University Press. Peter W. Cookson Jr and Caroline Hodges Persell. 2008. Preparing for Power: America’s Elite Boarding Schools. Basic Books. Many view surviving boarding schools as a rite of passage, though one more difficult for some than others. Designed to spread the values of affluent white families, students of color often experience prep school culture as extremely unwelcoming. Richard L. Zweigenhaft and G. William Domhoff. 2003. Blacks in the White Elite: Will the Progress Continue?. Rowman & Littlefield Publishers. Moreover, not everyone agrees which private prep schools warrant the label “elite.” Schools may be considered elite on account of characteristics such as their independence from state funding and control, prestigious curricular offerings or teaching methods, the wealth and power of the families whose children they admit, and their geographic locations. Rubén Gaztambide-Fernández. 2009. “What is an Elite Boarding School?” Review of Educational Research 79(3): 1090-1128. 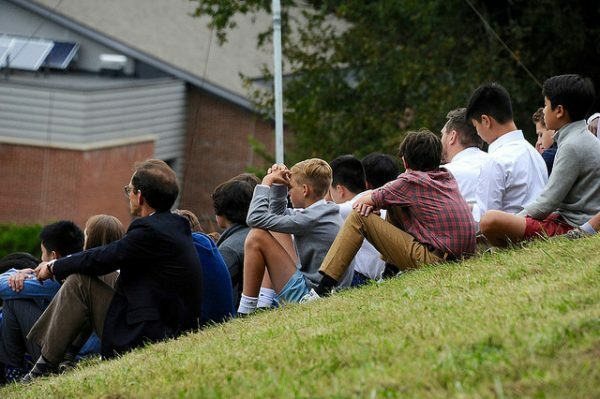 Elite boarding schools enable privileged families to pass on wealth and advantages to their offspring, and they do so by enculturating students to a lifestyle that is tied to wealthy whiteness. This raises serious questions about how we currently think about the qualities and skills inculcated by elite socializing institutions, and about the legitimacy of the many privileges enjoyed by their graduates.